There’s a commonly held idea that parenting, once kids grow into their sturdy little legs and get a taste for catching a ball, becomes an endless round of to-ing and fro-ing kids from after school practice, with weekends finding you wrapped up warmly by the side of a pitch or a tennis court or a pool and cheering your kids on in a polite, non-aggressive and enthused manner. But not all kids are sporty - nor are all parents. I have five sons who are a little clumsy and awkward when it comes to physical prowess - a bit scared of the ball, a little disinclined to get their heart rates up, and possibly because they live their lives as bit players of a vast tribe, they just don’t have much of a desire to be part of a team. And as for my husband and I, well, let’s just say that one of us likes to watch a bit of international rugby from the comfort of the couch, while the other likes a brisk jog three times a week and hasn’t been to a sports match since she was a very average 11 year old goal keeper, not doing much to keep the other team from getting the ball through the net. Besides, we have always been quite busy juggling all those rapidly-increasing children of ours and so haven't sought out weekend sports with much zeal, preferring instead to sleep-in on weekends, with a late morning walk up Westbourne Grove to the market on a Saturday to seek out hot chocolates and to buy second hand books from Oxfam. Frankly, we have accidentally raised bookish, non-sporty pariahs whose idea of a #win is to get out of attending school sports day. But there is a lot of testosterone bouncing around our small flat, so something has to fill the boys’ physical-exertion vacuum: here are some ideas for the London-based non-sporty family, which will still get the heart rate up without an astroturf in sight. Ok - you can’t all necessarily get a dog, but they are very good for forcing you out of the house twice a day for a brisk walk to stay physically active. You don't actually have to own one yourself, of course - there are always neighbours who would be extremely pleased to have someone else walk the dog for them (we have a dog, so I know this to be very true), and there are actual on-line dog/human matching up sites such as borrowmydoggy.com which can help you find a local dog to - literally - borrow for a bit. Some cats need a lead-walk every now and then, so don’t discount the felines. But dogs are the reigning kings in the exercise-disguised-as-pure-joy equation. Take one out to the park for a ramble - you’ll all be ruddy-cheeked and charmed by the end of it. We are National Trust members and so often get into our car or on a train for a quick trip out west to run about in the glorious gardens at Cliveden or Waddeston Manor. You pay a yearly membership fee and can go to any of the National Trust places throughout England, Wales and Northern Ireland. Many have fabulously well-equipped playgrounds and areas of forest to explore, with formal gardens, den-building areas, various year-long activities for kids, and much-improved cafes with excellent old-school cake selections. You are also never far from a country pub. The historic houses are always worth a careful wander through, although it’s best to keep young marauders very close by your side and away from the priceless tapestries. If architectural conservation isn't your thing, consider just getting out to the country regularly anyway. It never takes as long as you'd think to get out of London for a day and you’ll feel very refreshed. This is a bit of an obsession of our family and all you need is a pair of gloves, the tide to be out, wellington boots, a permit and a keen pair of eyes. All along the Thames there are stretches of shoreline that can be accessed at certain times during the day depending on the tides. The mud on the foreshore yields ancient treasures from hundreds of years of the Thames acting as a transportation highway, from earliest London settlements to now. People toss things or lose things into the water - the Romans, the Georgians, the Victorians, the wharfies with their clay pipes, the shipbuilders with their now-rusted nails; there are hairpins and pieces of Tudor pottery, Elizabethan coins, stolen loot, broken roof tiles from the Great Fire of London - all sitting on or just under the mud. 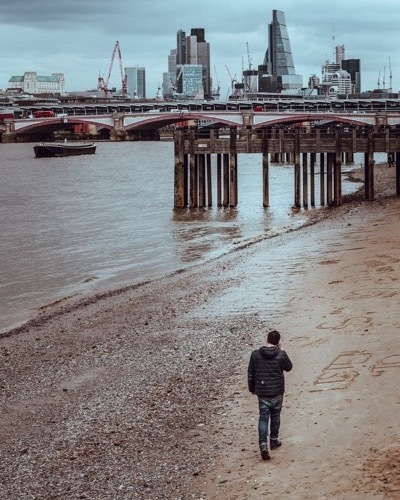 The increasing traffic on the Thames washes up layers of mud and so each time you venture down to the river’s edge something else is revealed. For history buffs, mudlarking on the Thames is like a day out at Disneyland. Yearly permits should be bought from Port Of London Authority and then you are off, into the annals of time. Ever heard of geocaching? Billed as the ‘largest travel hunt in the world’, it’s a three-step global navigational game for free. 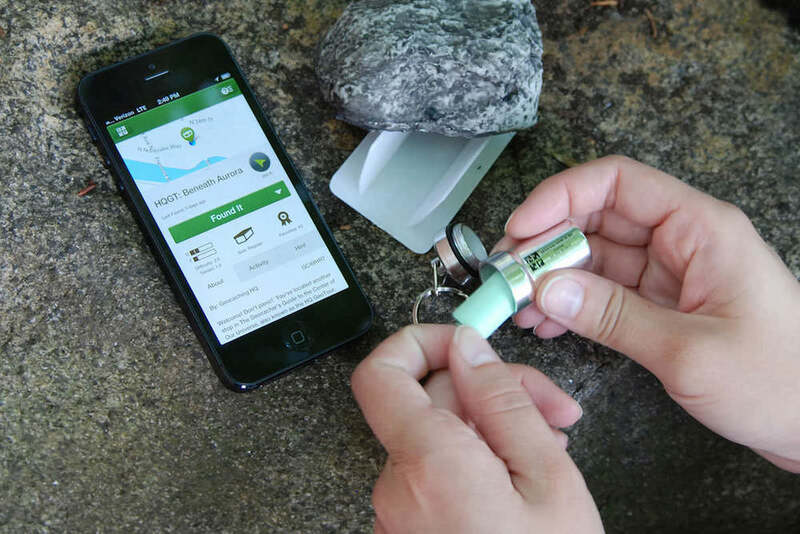 You sign up via your phone, locate a geocache near you (which is basically a well-hidden small object or box) and use the coordinates and a vague map to find it. You write your name in the accompanying logbook which is usually filled will vast numbers of successful, clever geocacher’s who have found it before you, and you can sometimes trade knick-knacks from the geocache box (like a kinder surprise toy for a hairclip, or a pen for a rubber ball), and log your find online. Finding a geocache is like uncovering a glitch in the Matrix - the non-geocache-aware-public Muggles stumble around their daily lives never knowing there’s a whole treasure-hunting community seeking out more and more obscure hidden challenges. It will get your brood walking all over the place - with 8640 hidden London geocaches (and millions worldwide) you'll never find them all. Ok, so we can’t all raise budding David Beckhams or Dame Kelly Holmes’s - so how about junior Gallaghers or aspiring Hendrixes? 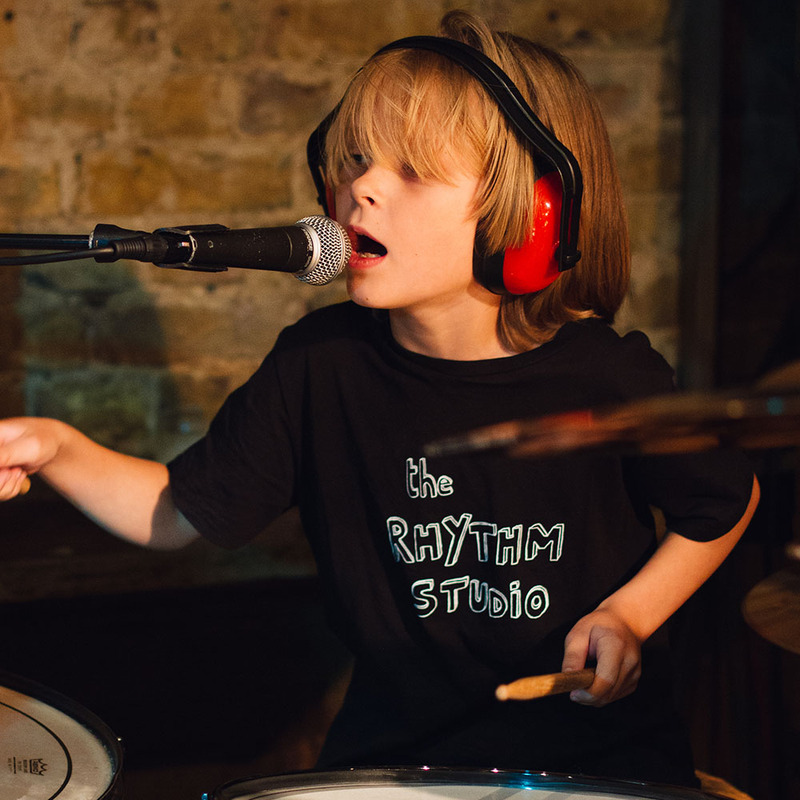 The West London Rhythm Studio Rock and Pop Academy is where kids with an enthusiasm and/or talent for making, playing, producing, writing or performing music have a place. It’s a little bit like the end bit of Jack Black’s movie School of Rock - a properly organised academy where kids can form bands, learn to play instruments from scratch, and perform their own music or covers at live gigs throughout the year. There are full time places for 6th form students, and after school lessons, weekend camps and school holiday programmes for everyone else. We have been to lots of gigs which have taken place in cool, scruffy venues and (tolerant) cafes near the Rhythm Studio’s W10 headquarters and have been blown away by the talent and bravery shown by the kids up on stage. For the kids who have energy to burn but no place in their flat for a drumkit, the Rhythm Studios could become a total haven. AKA “Sports For The Non-Sporty”. We like Oxygen in Acton, although there are other branches and other companies who provide massive aircraft hangar-sized trampoline oases were the kids can bounce and jump and run and topple for an hour while you drink a perfectly acceptable cappuccino in the overhead cafe, occasionally looking up from the Sunday papers to find your kids in the melee below, just to ease your parental duty conscience. They get enormously tired out, learn a few skills, practice waiting in queues for their turn and sometimes help each other up and out of the ballpit. It’s a treat that does cost (it’s just over £12 for the hour) but you can get discount codes and vouchers if you search online first. The weekends are rife with cinemas, both the big chains and the independent local ones, who do cheap kid’s sessions at about 10am. They mightn't be the newest movies, but who cares - it’s never a chore to spend a few hours in the dark with popcorn and no one fighting. 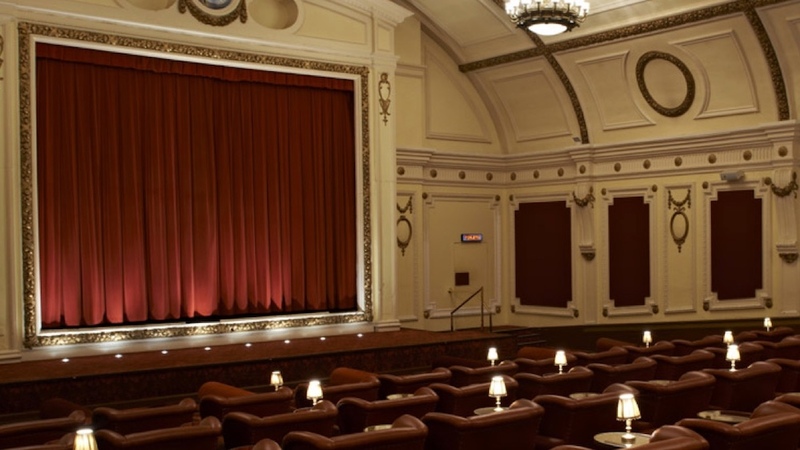 The Electric Cinema in Shoreditch and Portobello has a kid’s club with cheaper tickets at 9:30am on Saturdays, the Odeon chain has movies on the weekend for kids for £2.50, the revamped Regent Street Cinema runs Saturday morning sessions for £3. The Prince Charles Cinema does cheap Mon-Fri matinees (inset day, anyone?) and hosts riotous sing-a-long movie sessions for the sonorous and enthusiastic. On the Harrow Road near Queens Park, this old school boxing gym and former church has been home to local kids for 45 years. 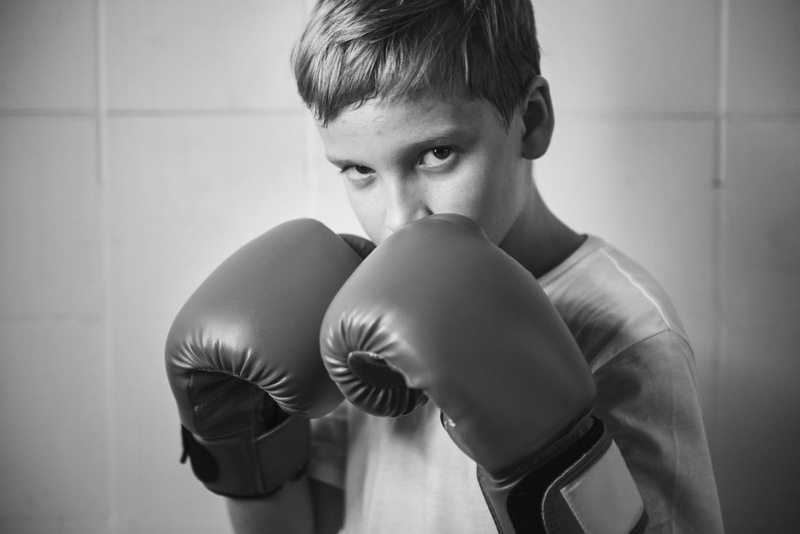 There are sessions for all ages and genders, but our kids have attended the Saturday morning Muay Thai/Kickboxing sessions. It’s very authentic “Rocky”; a little sweaty and filled with trusty, hardworn equipment and grizzled guys at the door. We made our kids walk to and from the gym, and after a session they were all utterly exhausted and could only just manage a custard tart from nearby Lisbon Patisserie to return their sugar levels to normal. The gym, which exists as a charity, is under threat from closure so do check it out and support it, or any local old school youth/boxing clubs in your area. Like libraries, if you don't use these things, you lose them. As a family, we love to eat, and we are to be found most Saturdays in the Acklam Village Market under the Westway off Portobello Road. There are lively scattered food stalls all along Portobello Road’s length, and a concentration of international food stalls in the Acklam Village part. My five year old likes the rosemary fries stall, my 12 year old has struck up a friendship with the lady who makes the crepes, my teenager loves Cheeky Burger and I adore the Greek Souvlaki stall. The other kids and husband just wing it each time we go, trying everything out. 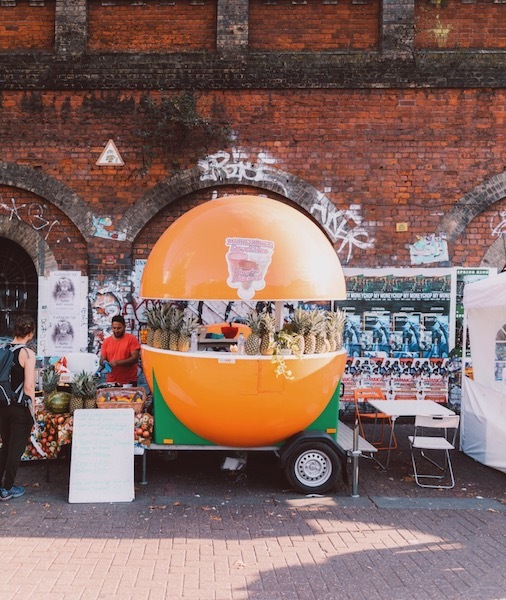 There’s also excellent falafel and stalls representing African, Chinese, Cuban, French, Moroccan, Mexican, Palestinian, Peruvian, Polish, Portuguese and Venezuelan street food. Everything is well under a tenner, and there’s an inside seating area with live music playing all weekend which is usually pretty good and dogs are, blessedly, welcome. We also love going to Borough Market, Maltby Street Market, Brick Lane, and the farmer’s markets at Queens Park, Marylebone and Notting Hill. Seriously, we will travel anywhere for a good wrap. Never underestimate London’s parks and playgrounds. Even though my kids are getting older, they never pass up a chance to swing off some bars and balance on the wooden stiles, or climb up something right to the top. They seek out trees to climb in Hyde Park, run up Primrose Hill for the rolling back down, they find squirrels to feed and parakeets to hold. We have visited Northala Fields playground off the A40 for hours, spent literal cumulative years playing in the sandpit in Kensington Garden’s Princess Diana Memorial Park, Fountain and the Lido, have run around Regent’s Park and through Green Park, scaled to top of the rocketship in Kensington Memorial Park and splashed in the water fountains there in summer. We walk to the Serpentine Gallery on the way to the museums through Hyde Park and spot bats and owls in the late summer evenings. These green spaces are the lifeblood of the city and keep those kids of mine red-faced and breathless, even if there is no racquet or shinpad in sight. How do you keep non-sporty kids active?